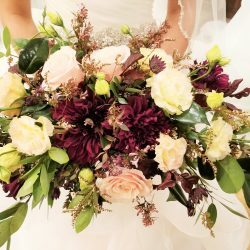 Seasonal flowers that coordinate with the wedding colors with mixed greenery to create that lush Boho feel. 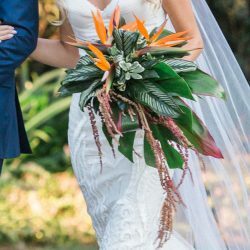 This bouquet is a mix of tropicals like bird of paradise, hawaiian orchids, protea, ginger, and tropical greens. 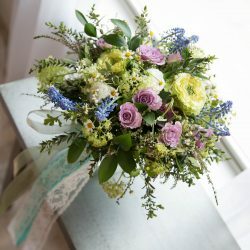 This garden mix bouquet is selected from the nicest seasonal fresh flowers available. 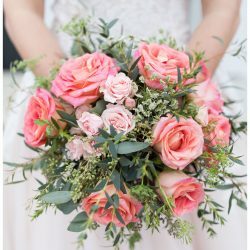 A classic bridal bouquet of roses. Can be a pave or garden-style by preference. 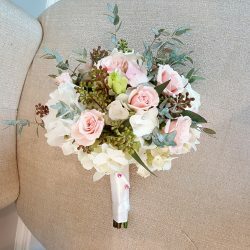 This bouquet is full of roses in any color with fillers like babies breath or waxflower. It may be loose and flowing or tight and clean. 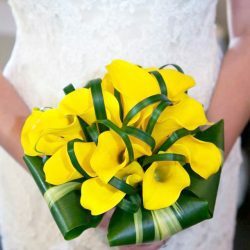 This calla lily bouquet is sleek and stylish with a simple selection of bold colors. 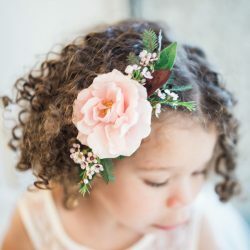 We can match your bridal colors and style with items for the flower girl. Designs and flowers will vary. 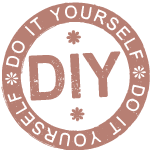 For the Bride who loves to DIY!